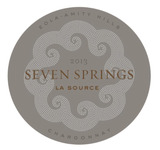 Our 2013 Estate Chardonnay comes from a newly planted, three-acre block that was developed in 2008 and farmed organically and biodynamically from the beginning. A slightly tighter vine density and a varied "bouquet" of clones were chosen. Grapes for this wine were picked before the four days of rain in the middle of harvest. Our chardonnays are made in the traditional Burgundian style, with long, gentle pressing of whole clusters and a light settling of the golden juice just before transfer to barrel for spontaneous indigenous fermentation. 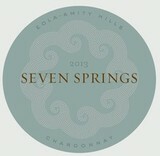 The Estate Chardonnay was fermented and aged in barrels for 11 months with 20% new oak, then further aged in tank for another five months, on lees, before bottling. Fresh and inviting, lively on balance, with tangy citrus and lemon marmalade notes underlying the apple and spice flavors, lingering on the finish. Drink now through 2020. 607 cases made.